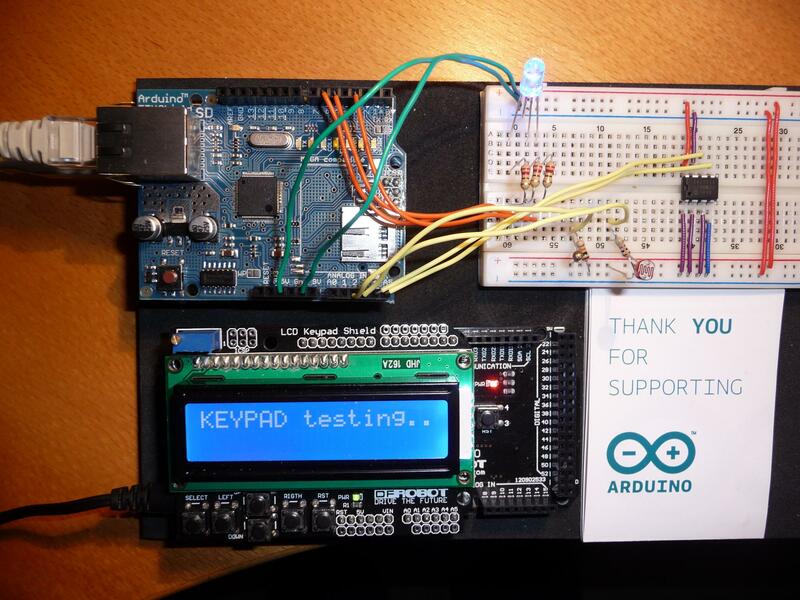 Experimenting a lot with the Arduino platform reveals a lot of features and traps and we collected a few of them to make the development of Arduino applications easy. On every AVR based Arduino board, the clock speed is 16MHz. Each instruction on the controller completes under 4 cycles, so theoretically, you can do 4 million instructions in one second. However, the I/O speed is much slower. That’s because of the digitalWrite and digitalRead functions. Each time you execute them, a lot of additional code executes also. The additional code is responsible for detecting & mapping the numerical pins to a output port. On every microcontroller, the I/O devices are mapped in groups of 8 pins to ports, which are special registers in the controller. In some measurements, the output speed was around 126-127KHz, which is 8.6% faster, but we can improve it. To really top the output speed, we will have to use low level port access. To use low level poor access, we will have to read the details of the microcontroller used on the board, but it just takes away the beauty of the Arduino platform. There’s a library for that purpose, that speeds up I/O access. It has some limitations. Mainly that it only supports the Uno, Nano, Leonardo, Mega, and Attiny45/85/44/84 models. The code for the library can be found here. //WriteD13 writes Pin 13. D means digital. //to write to pin 8 use WriteD8 function. It provides inline functions for fast I/O access. The following example produces an output signal around 1Mhz, which is really nice. But, if you put the code in the earlier discussed infinite loop, it gets even faster. With it, you can produce an output signal around< 2,4MHz. The following function will return the currently free RAM memory in bytes. Inline functions are a great way to speed up your program, especially, if you call them in the loop function. By default, the inline keyword only suggests the function for inlining. The compiler may decide that it’s not worth inlining in the optimization phase. The GCC manual says that an inline function is as fast as a Macro. As always, there’s a catch. If you make a function inline, it will make your program code size larger, if you call that function in several places. Introducing The Invent Electronics Prototype Services. IoT in Africa: Are we waiting to consume our way to sustainable development? Invent Electronics is your premier retailer of electronic components, Arduinos, Raspberry Pi’s, microcontroller kits and more. In 2015, Isaac Sesi, an electrical engineering student in KNUST, decided to make it easier for students, makers, educators and hobbyists to quickly find and purchase electronic components or their projects locally. Out of that desire, Invent Electronics was born and we haven’t looked back since. Our community and customers trust us and our products. Check out what they say.